Last week, Hillary Clinton went on the warpath, adding The New York Times and the Democratic National Committee to her enemies list. She accused the Times of covering her email fiasco too much and blamed the DNC for giving her a shoddy data operation. This shooting inside the ship has irked Democrats. Many just want to see her go away, so they can have a clear message when it comes to a referendum on Donald Trump. With Clinton in the spotlight, she only serves as an anchor for the rest of the party, weighing them down from moving forward. Even Sen. Al. Franken (D-MN) said that it’s time to move on from the 2016 election. 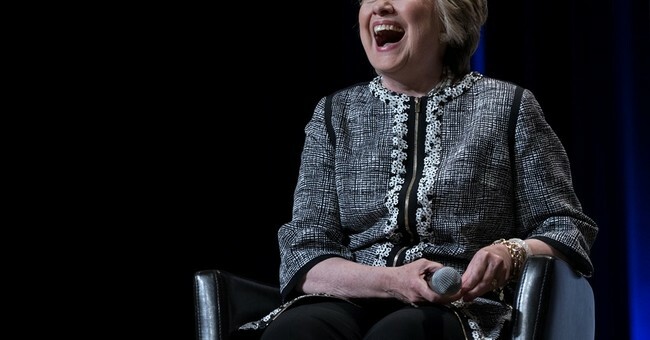 Allies of the Democratic National Committee (DNC) in particular were incensed by Clinton’s criticism of the party apparatus, saying she mischaracterized the committee’s work while needlessly stoking internal divisions. “This is all about the last campaign. And really, what Democrats should be focusing on, and what I think Hillary Clinton should be figuring out, is how do we empower the DNC to have the best data resources to win races this year, in 2018 and 2020,” a former DNC aide said. Clinton surprised Democrats on Wednesday when she complained that she inherited "nothing" from a "bankrupt" DNC after becoming the nominee. Maybe ignoring white working class voters in the Rust Belt was a bad idea. Maybe not having an economic message and being focused on everything BUT job creation was a bad idea. Maybe ignoring Bill Clinton’s advice about reaching out to the white working class, who number in the tens of millions, was a bad idea. All of this leads to a large slice of Obama voters, who flipped for Trump, thinking that the Hillary agenda favored the wealthy, along with not being able to stand her. It wasn’t the data, Hillary. It was you. Again, your loss boils down to you.